Paper Balloon Theatre Company aim to create and perform children’s theatre which utilises playful songs, inventive puppetry and the art of storytelling to create a new world that children and parents can become immersed into. The company believes that younger audiences are perceptive, intelligent and deserving of high quality theatre work no matter their age. With productions such as Night Light, The Grumpiest Boy in the World and Once Upon a Snowflake as their past production line up. The company are continuing to churn out productions which not only have educational value but are entertaining as well. The company also work within primary schools to create workshops, which allow children to explore the world of storytelling and develop their literacy skills. In utilising content that is linked to what the children are studying in school, they are aiding in their development of grammatical skills. As well as guiding the children’s creativity in a practical and artistic way. The company are also big advocates for the use of theatre within education and the benefits it can have on children. Their current production The Boy and the Mermaid explores a small fishing town, where Dylan lives with his grandmother. With the small town held back by the fear of what is beyond the shore, we discover new creatures and what lies beyond. Within The Boy and the Mermaid, the company explores ‘otherness’ in the wake of many humanitarian crises. 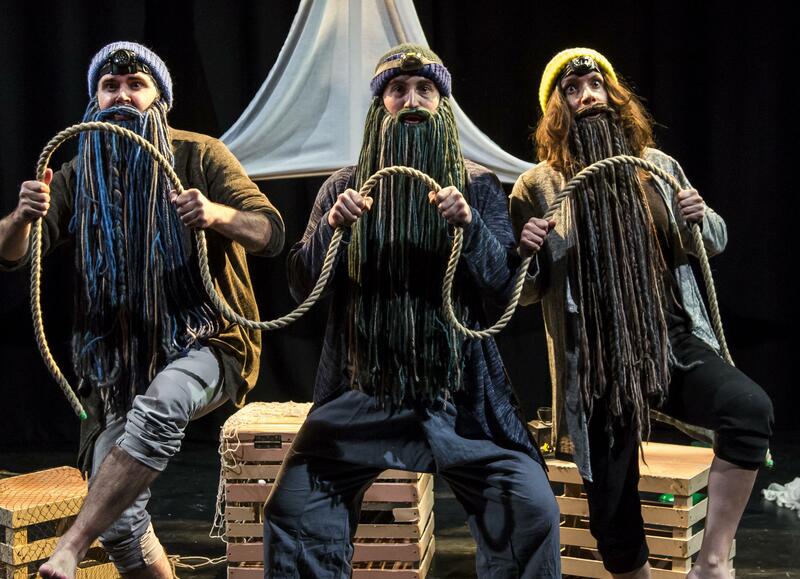 They explore the use of sea shanties combined with inventive puppetry to bring the story of the small fishing town and all its inhabitants to life. Paper Balloon Theatre Company are here on the 10th April at 2pm. Tickets are available at £9 for adults and £7 for concessions. There is an age guide of 6+ for this show. You can purchase ticket by either going online at www.arlingtonarts.co.uk or you can call our Box Office on 01635 244246.